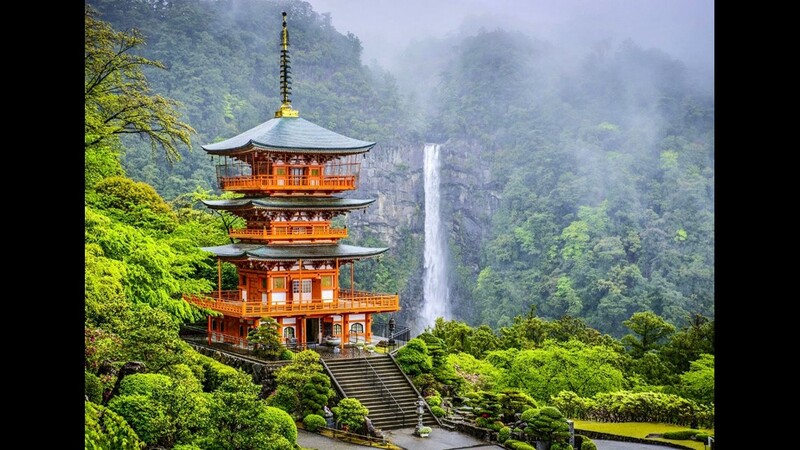 Seiganto-ji pagoda overlooks Nachi Falls, Japan’s tallest waterfall. 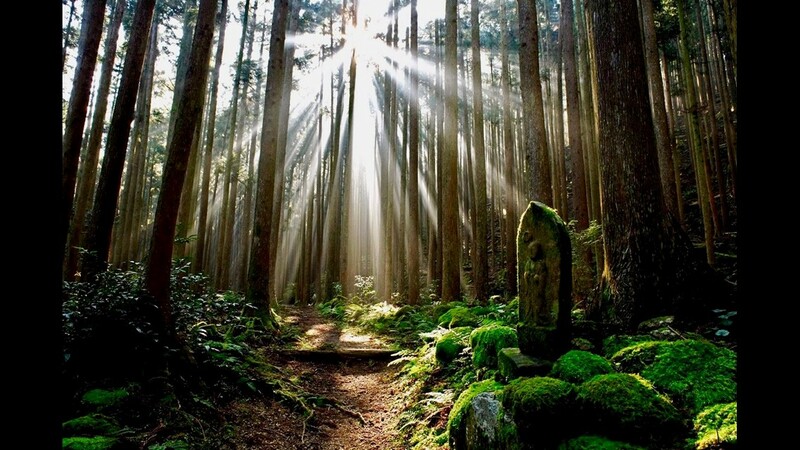 Sunlight shines through cedar and cypress trees along a stretch of unpaved trail as one of several Shinto “sub-shrines” stands watch. 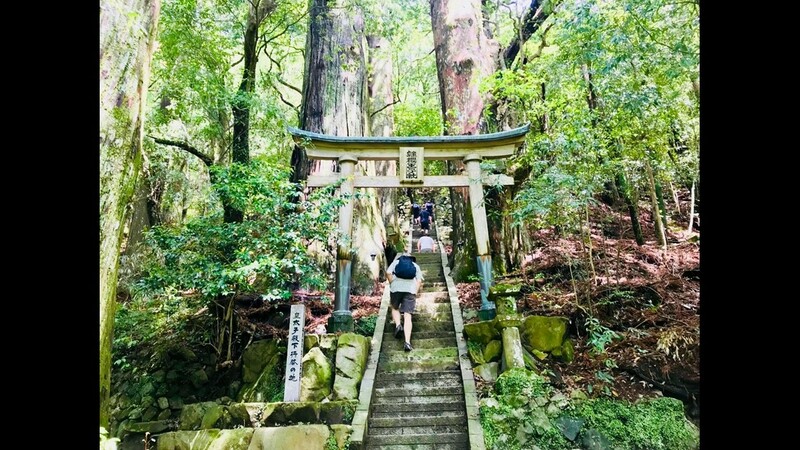 Although largely unknown to foreign hikers, the 1,000-year-old Kumano Kodo trail is especially revered by locals, some of which hike in traditional Japanese attire. 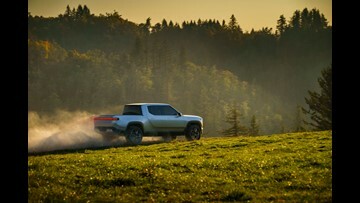 The trail originally began as a religious purifying pilgrimage. 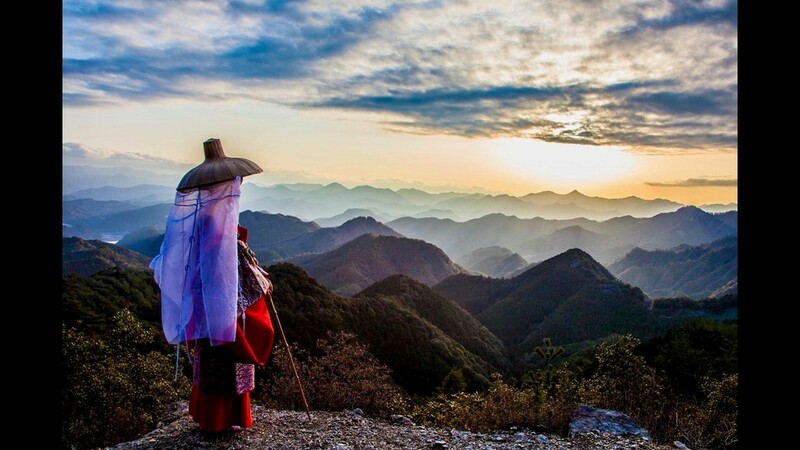 Today the criss-crossing network of four hiking routes is known for its peaceful and still-spiritual surroundings. 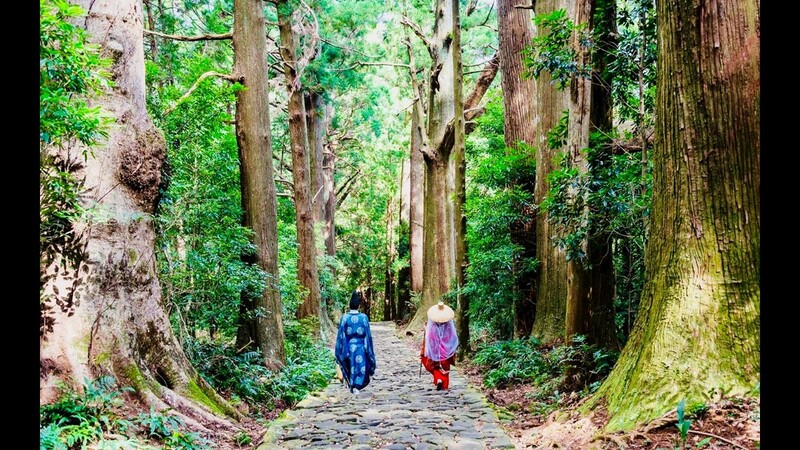 Two native hikers in traditional Heian attire descend the picturesque Daimon-zaka section of the trail, featuring sloping cobblestone steps en route to one of three Grand Shrines. 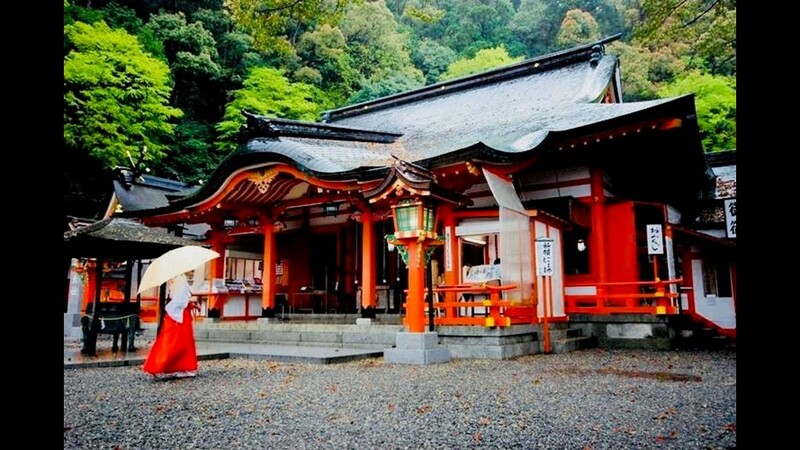 Kumano Nachi Taisha is arguably the most scenic Grand Shrine, surrounded by Japan’s largest waterfall and three-story pagoda. 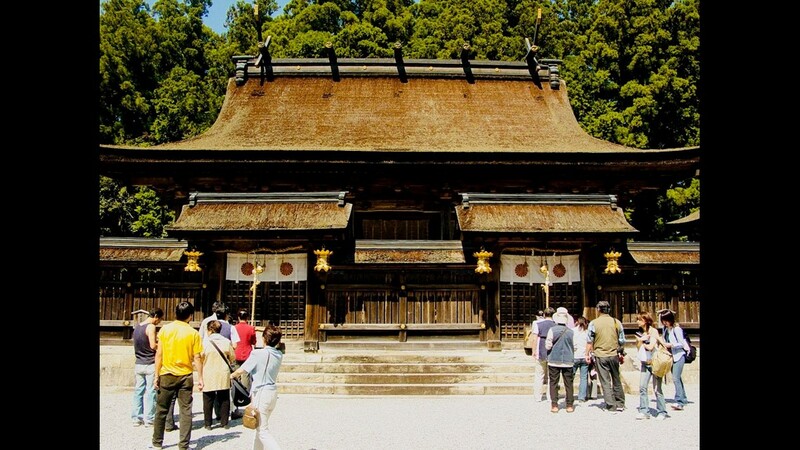 Kumano Hongu Taisha is probably the busiest Grand Shrine, as it’s easily accessed by motor coach. 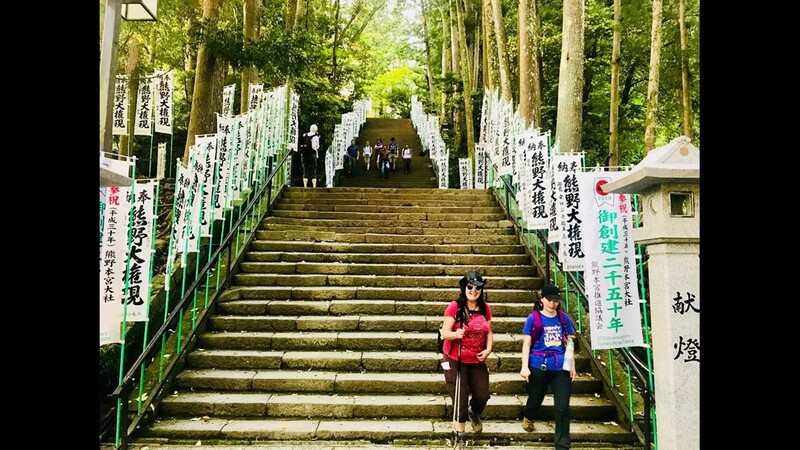 Several flights of cobblestone stairs and flags lead the way up to Kumano Hongu Taisha, one of three Grand Shrines along the Kumano Kodo trail. 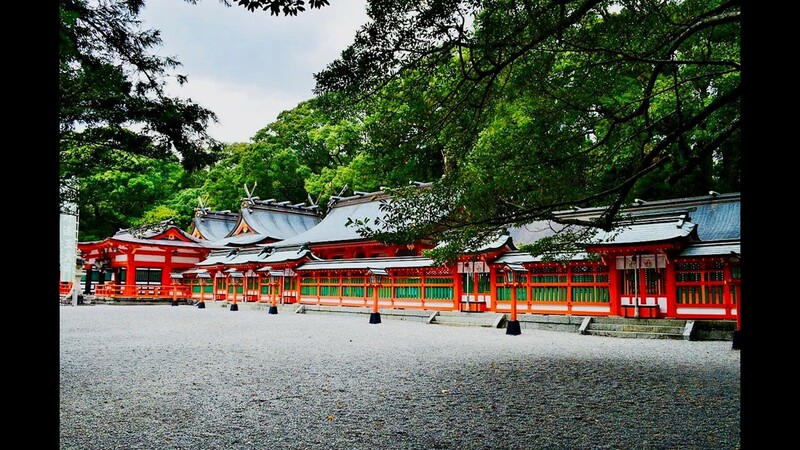 Kumano Hayatama Taisha is the grandest shrine of all, featuring green accents, plenty of shade, and several portals from which believers call upon the gods and ask for blessings. 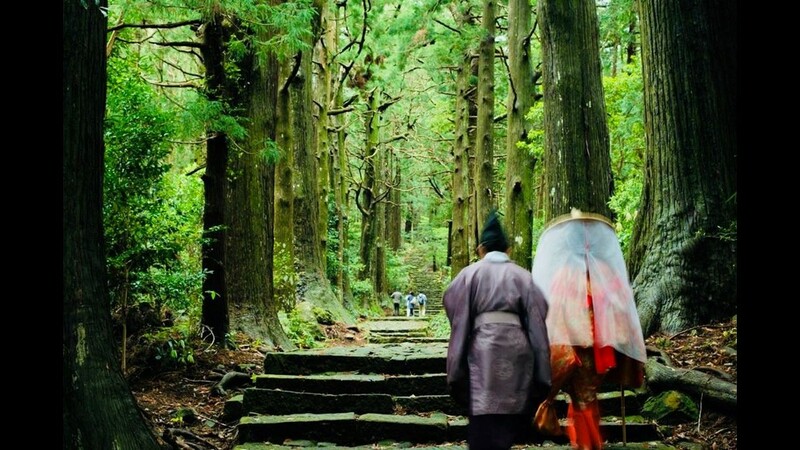 To reach the three grand shrines on foot, hikers must pass through several sub-shrines and ancient gates along the way, sometimes dotted by 800-year-old cedar trees. 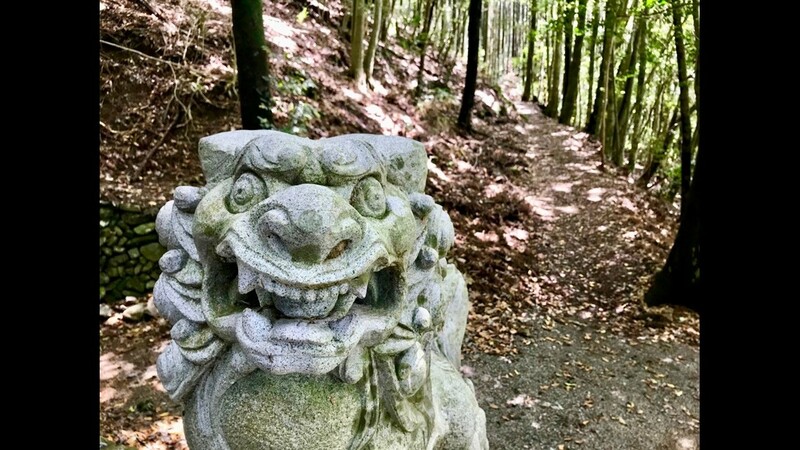 To guard these shrines, sentinels can often be found along the Kumano Kodo. 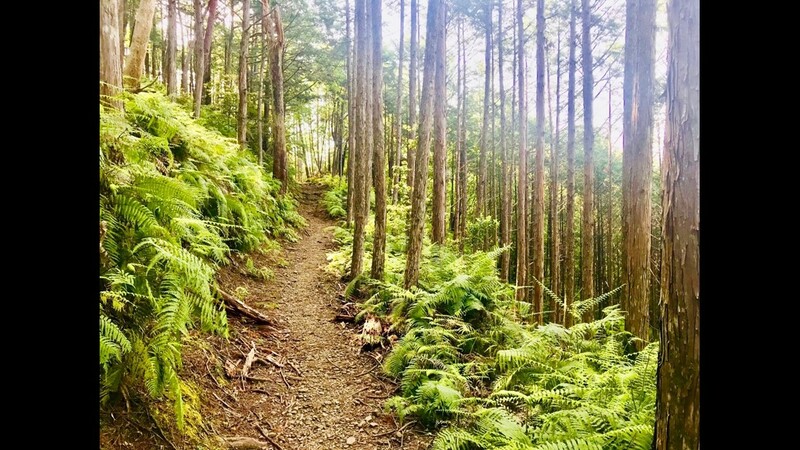 In addition to cedar and cypress, ferns dominate the landscape, making the path easy to follow and painting forest floor as green as the ceiling. 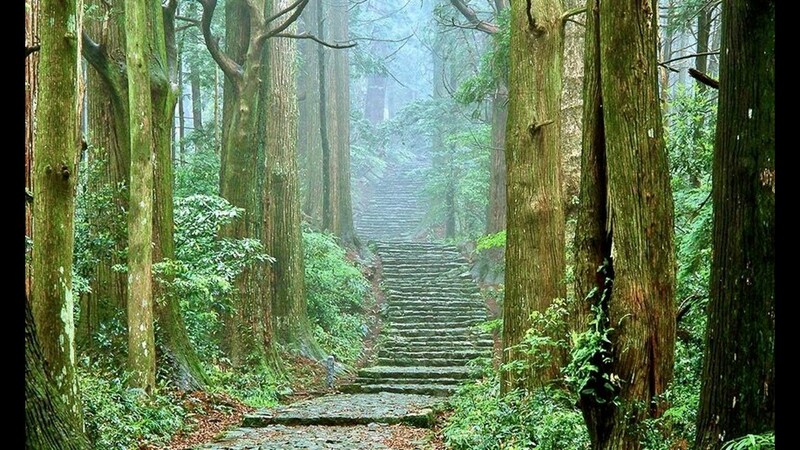 Many sections of the Kumano Kodo are unpaved, although still surrounded by cedar and cypress. 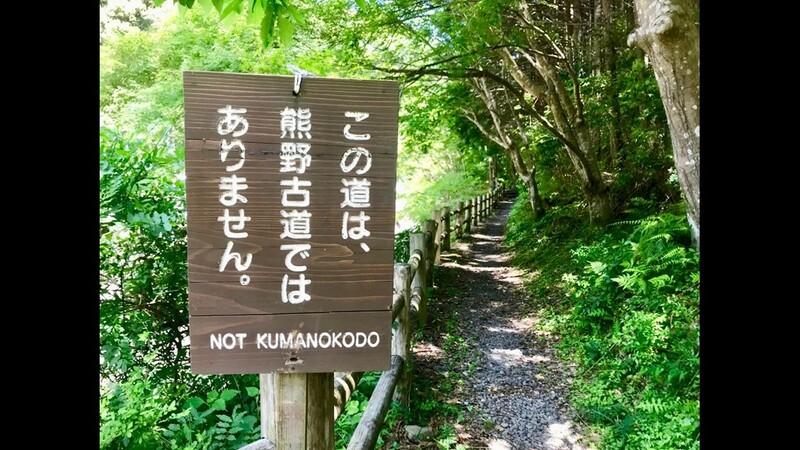 The Kumano Kodo is as well-marked as it is pristine and forested. 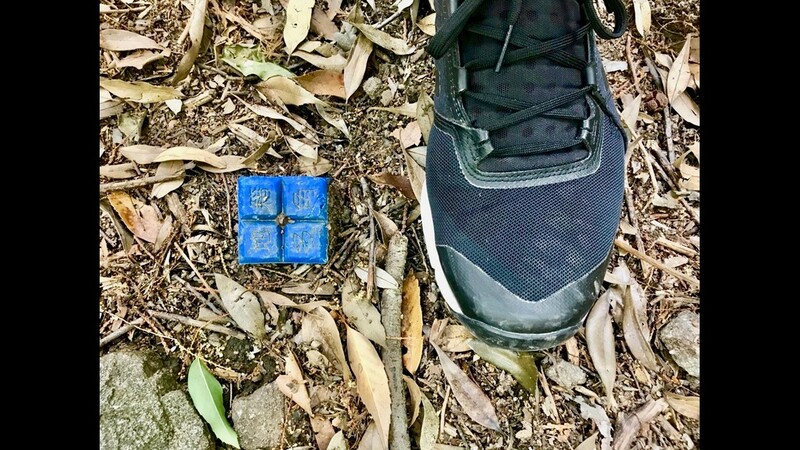 At every fork, hikers encounter not one but two signs, the second of which to quickly alert them to when they’ve lost their way. If multiple signs aren’t enough to keep you on course, local officials have also placed colored stakes along the path. 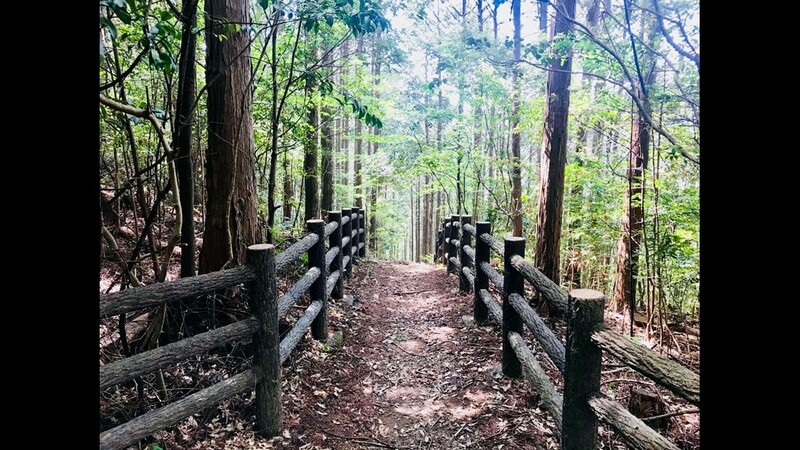 Although rare, scenic overlooks along the Kumano Kodo offer a glimpse of the surrounding Kii Peninsula of Honshu island, the largest in Japan. 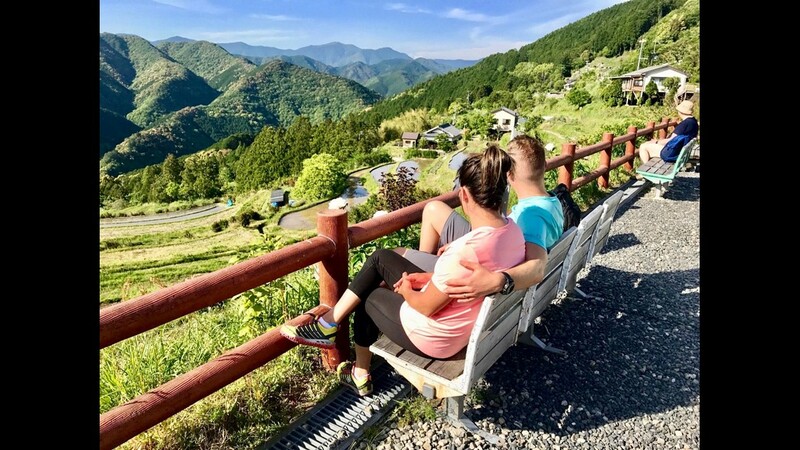 After a long but peaceful first day along the Nakahechi route of the Kumano Kodo, hikers break near Tanabe to take in the volcanic mountains and small rice paddies below. 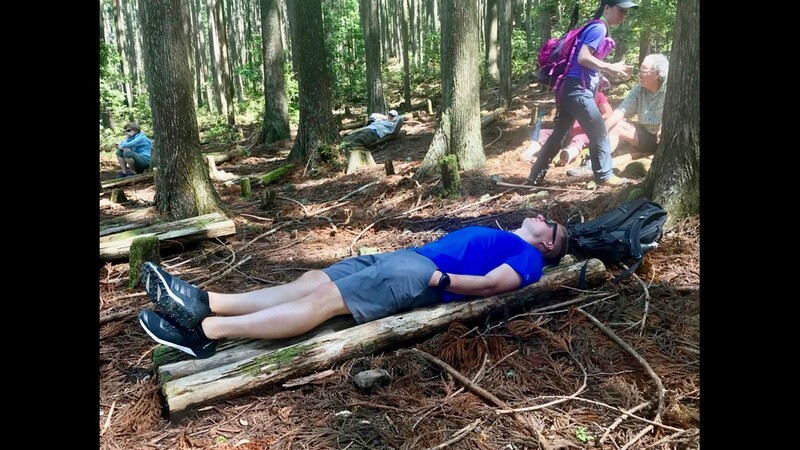 Hikers break on makeshift log beds to better appreciate the seemingly endless and constant cover of cedar and cypress on the Kumano Kodo. 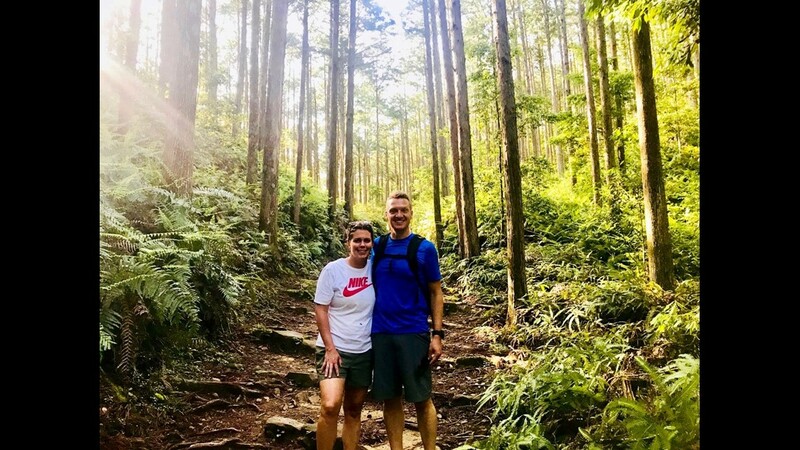 Although not technically difficult, the Kumano Kodo features steep climbs and descents, almost always without the help of switchbacks, which can make the trek physically demanding. 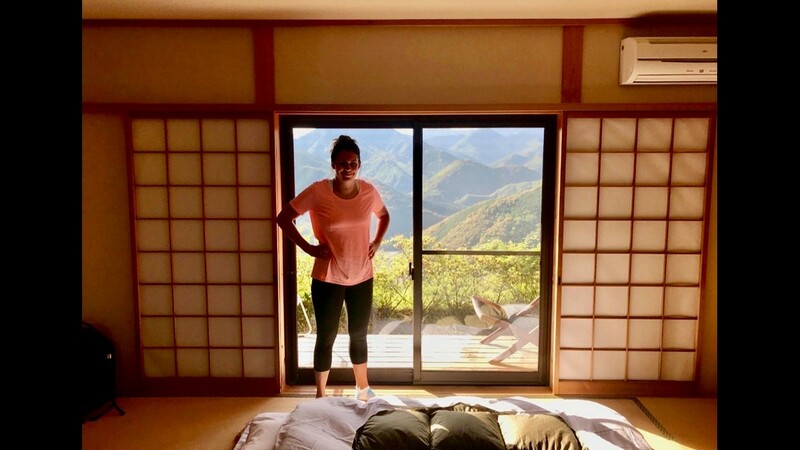 Although charming, Westerners might struggle to get a good night’s sleep on the thin bedding and straw-matted floors of traditional Japanese inns that dot the Kumano Kodo. 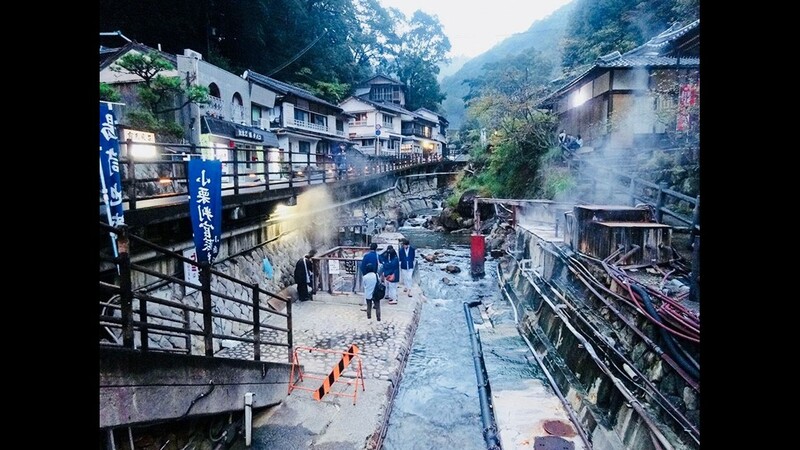 The good news is there is no shortage of hot springs along the Kumano Kodo to help you rejuvenate, including this one at Yunomine Onsen. 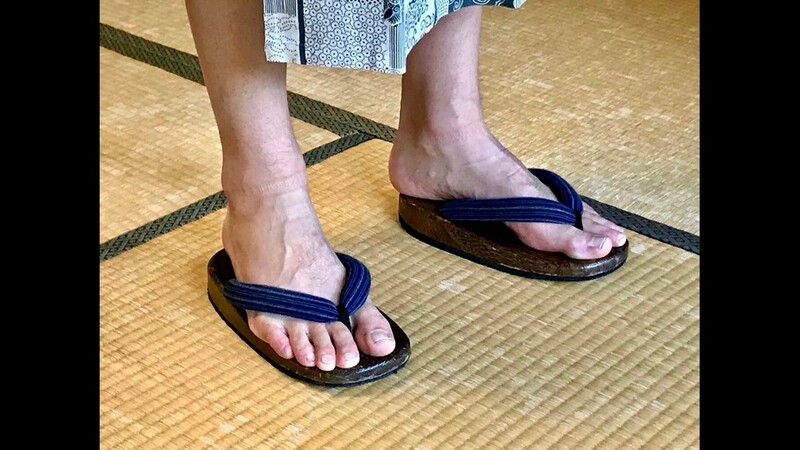 And you’ll probably feel like a shogun or geisha while wearing the traditional Japanese getas (or clogs) and yukatas (casual kimonos) that are provided at every inn. 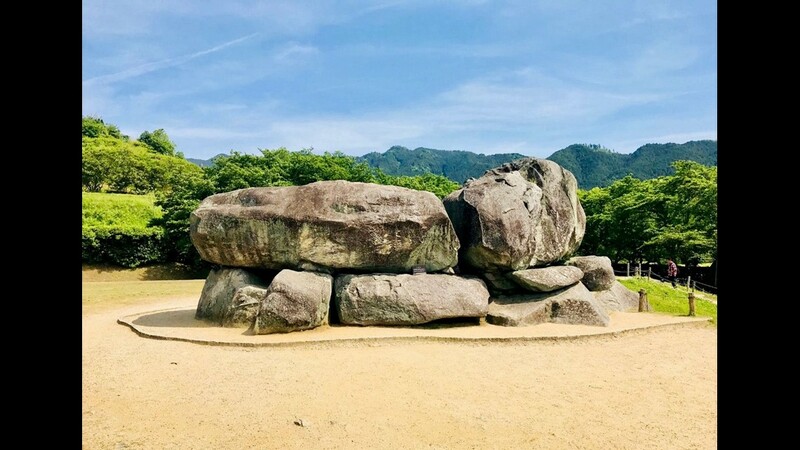 In nearby Asuka, the birthplace and first capital of Japan, visitors will encounter strange and mysterious stone murals. 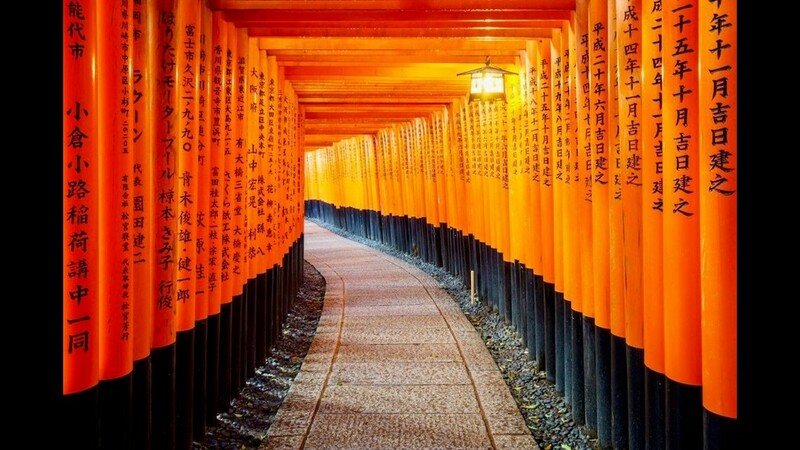 In nearby Kyoto, the longest-running and arguably most influential capital of Japan, visitors can literally get lost in 2.5 miles of 10,000 red torii gates at Fushimi Inari Taisha, a national treasure. 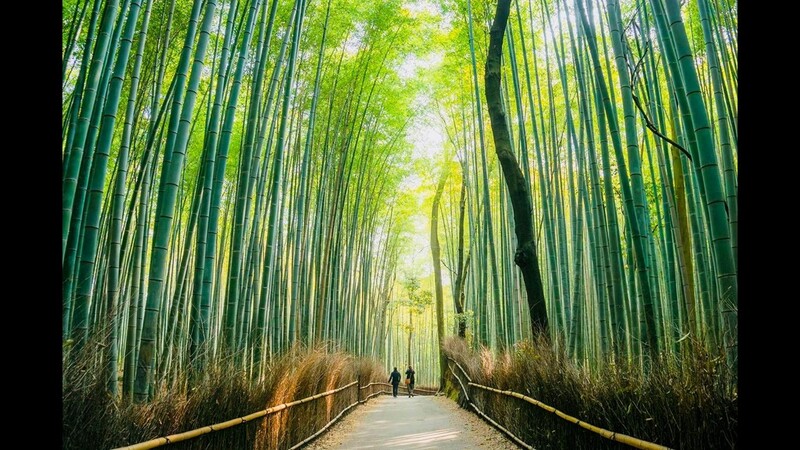 On the outskirts of Kyoto, Arashiyama Bamboo Groves are another national treasure. 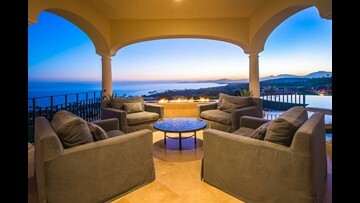 To avoid thick crowds, the mystic and thatched groves are best visited at sunrise or sunset. 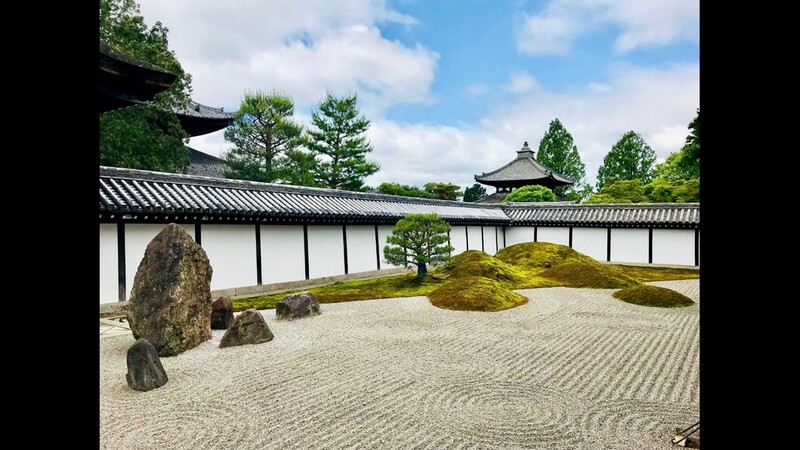 The zen gardens of Tofukuji Temple are another impressive site and a relaxing way to wind down after several days of hiking along the Kumano Kodo. 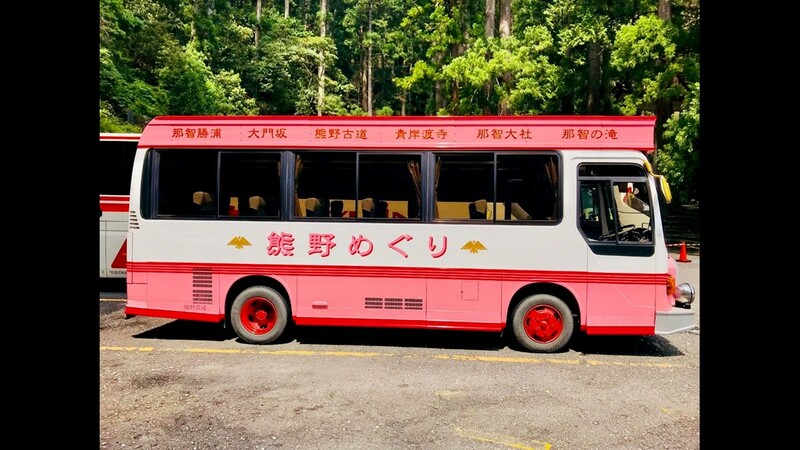 On your journey, you’re sure to encounter an unthinkable number of pink items, including this pink bus spotted just outside Nachi Falls along the Kumano Kodo. 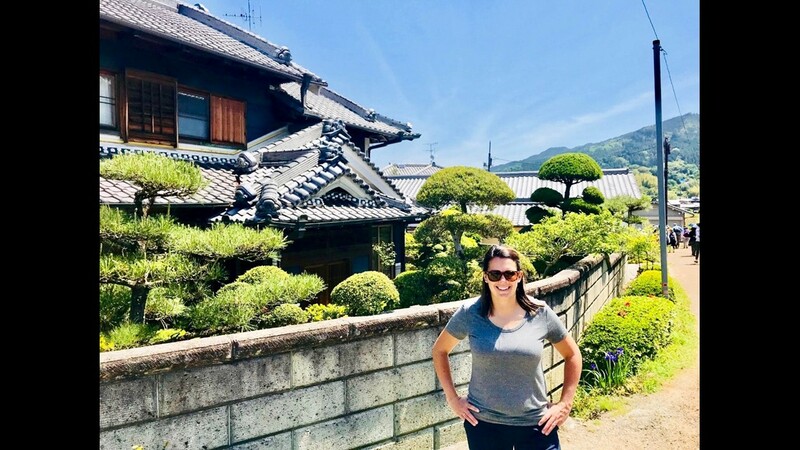 While hiking through villages along the Kumano Kodo, you’re also sure to encounter well-manicured Japanese gardens. 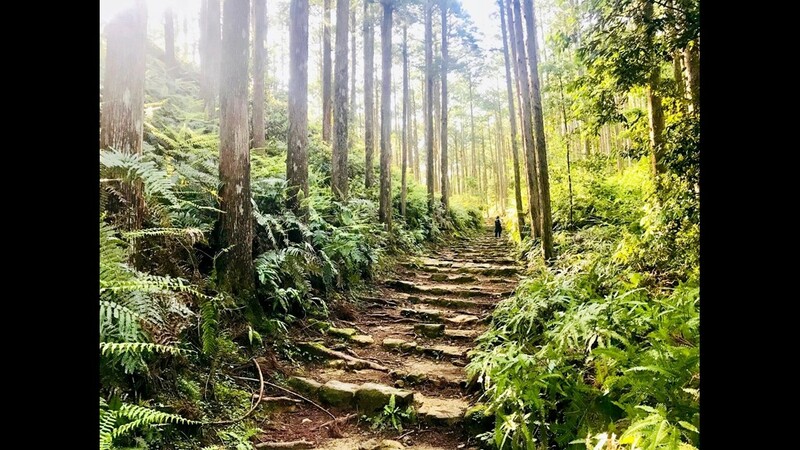 All told, Kumano Kodo is arguably Japan’s best-kept secret — if not the world’s greatest unknown trek.